Denise trained as an optometrist in UK and then moved to Cape Town, South Africa where she specialized in developmental [vision therapy] and syntonic [light therapy] optometry and her pioneering method of analysing visual fields of awareness. Denise developed a Visual Coaching Model that she integrated into her work with field analysis as an additional tool for transformation. 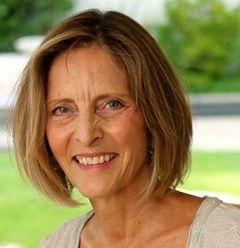 She has presented her work at conferences and in workshops in UK, USA, Europe and SA, and has self-published two books on her work with light and awareness. Denise’s focus is on using coloured light through the eyes and analysis of fields of awareness to guide you to your maximum potential and to re-establish good health and happiness. In addition to seeing clients, Denise will be presenting workshops that teach the basics of how to use light for home and family as well as more in depth training on light and awareness as a therapeutic tool. A variety of safe, gentle and non-invasive light treatments, each one with regenerative and rejuvenating effects on all body functions.